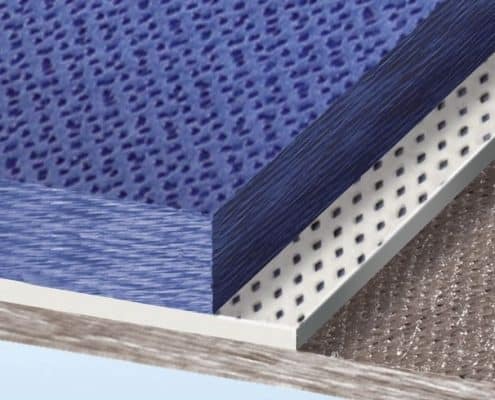 It is impossible to tell how many products are regularly misapplied in buildings, because much of the work goes on behind closed doors, but a roof is there for everyone to see. One thing that is glaringly obvious is just how many roofers are not putting the membrane on properly. Back in the day before we had breather membranes the whole idea of an under-felt (as we called it) was to stop any moisture getting into the roof space. It was simply a barrier. If a tile or slate slipped , or there was a lot of wind-blown rain or snow, the roofing felt would stop it. The felts were heavy and hard to handle so it was taught even if you wanted to. The little drape gap that occurred was plenty to cope with the limited moisture created from a missing tile. When breather membranes hit the scene everything changed. Suddenly the direction of moisture was outwards, and not just occasional but fairly constant. So where do all those water droplets go then? 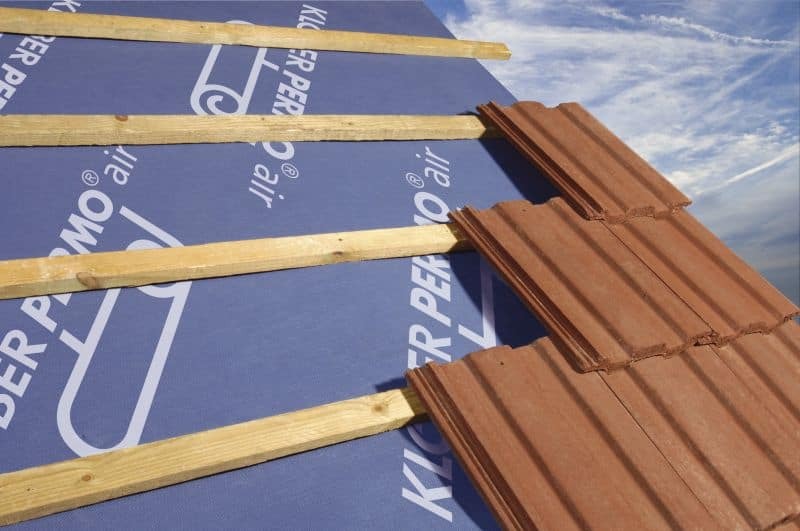 In a properly laid roof the moisture will trickle down under the battens to the eaves gutter via the drape. The problem is that many roofers stretch that breather membrane so drum tight that it sits up behind the battens and there is no drape gap. 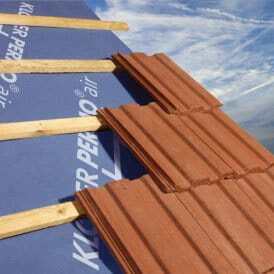 instead of the moisture being able to trickle gently down to the eaves, it sits behind the battens. OK, the battens are pressure treated, so the rot will not be immediate, but the water will also seep into the rafters around the nail holes. The galvanizing on the nails then has a job to do in preventing those fixings from rusting away at the point where they leave the battens and enter the rafter. Some nails, such as genuine Paslode ones, will cope better than those cheap Chinese nails that are now favoured by many roofers. 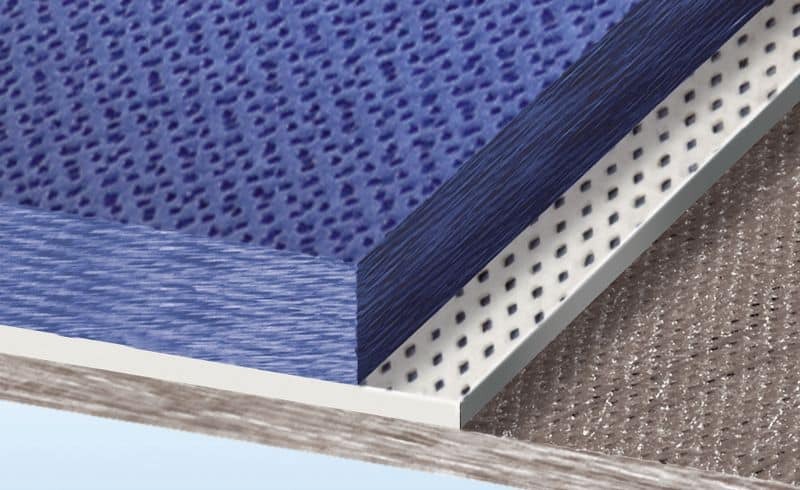 When roofers use a breather membrane they often take it as read that they will no longer need to ventilate the roof space. This is a good thing, because that reduction in air movement in the roof space can reduce heart loss through an insulated roof by a further 20%. The problem is that the still air in the roof space still contains the same moisture content as it did when the roof was ventilated – unless some measures are taken to remove it from the house before it reaches the roof space. This is not seen as a roofer’s responsibility. 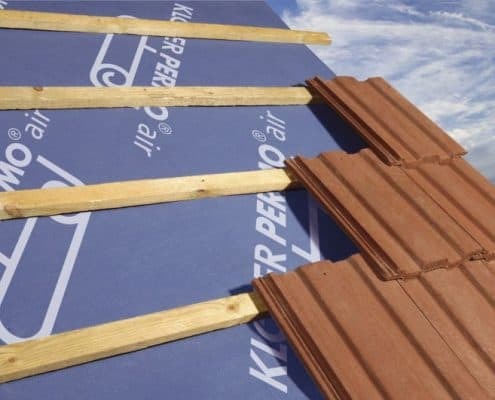 If the householder notices an unhealthy build-up of moisture in the roof space after the new roof has been laid, the roofer will usually say that the membrane they have used is breathable and that is the end of the story. They certainly aren’t going to replace the membrane with another one. Watch the Permo Air product test by Roger Bisby below.